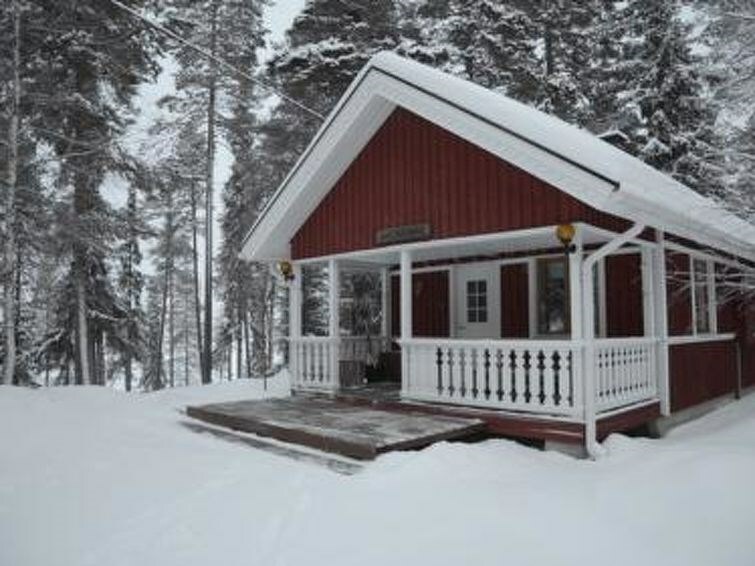 36 km north of Kuusamo, Ruka 13 km, lake Ala-Kitka 40 m. Cottage with living room (convertible sofa bed for 1-2 persons), fireplace, kitchen, bedroom with 140 cm wide bed, loft (steep stairs) with 3 mattresses, wood heated sauna, renovated bathroom, terrace. Electric barbeque. Downstairs 42 m² + loft 12 m². 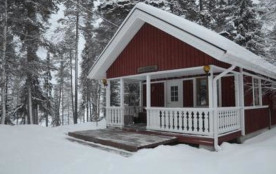 Cottage located in a peaceful area of lake Ala-Kitka in the area of Kaukosaari. Shared use of rowing boat is free for those renting the cottage (4 similar type cottages in the area). 300 m away there is a bird-watching tower with super views of the lake Kitka and Ruka/Valtavaara. Distance from the fell Valtavaara is approx. 8 km. Near by cottage Kaukosaaren Ahonlaita is possible to rent, with this cottage possible accommodation for bigger group max 10 persons. Pets are not allowed, but there have been pets earlier.